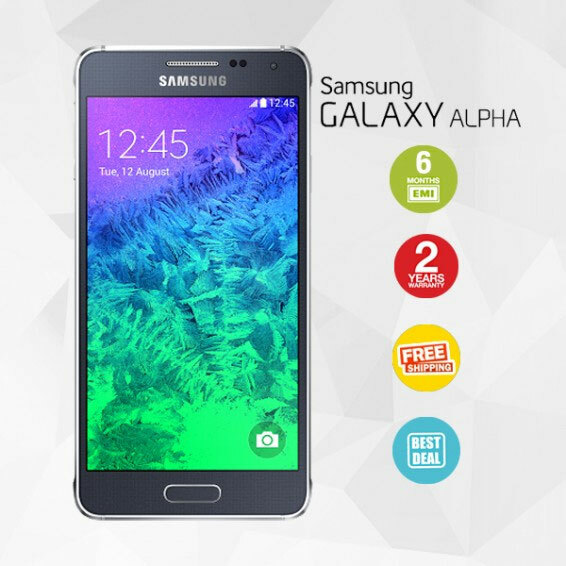 Samsung Galaxy Alpha, no doubt, bears a premium look with the metal frame wrapped around it. The overall shape is similar to the legendary Galaxy S2 which was infamous for kickstarting their dominance in the smartphone market. Although the Galaxy Alpha has a metal FRAME many confuse it with the device having an all metal body which however, if true, would be awesome. Samsung Bangladesh has started taking pre-orders for the upcoming and much hyped Samsung Galaxy Alpha which would carry a price tag of TK 65000/= but interested buyers would have to pay TK. 15000/= as an advance to secure a place to get one. For now, only two colors will be available: charcoal black and Dazzling white. The device features a 4.7 inch AMOLED display with the rear being plastic, similar to the perforated pattern available on the Galaxy S5 but the tradeoff for the plastic back allows it to be removable enabling easy access to the battery and SIM card slot and 32GB built in storage with no ability to expand via microSD. The Alpha’s overall design looks very appealing albeit nostalgic but props must be given to Samsung for building it with a thin profile of only 6.7mm. If you are interested in one, head over to this link.